The US government has said that reports on the Trump administration reversing its decision under pressure were "absolutely false", and that the government had never considered such a policy change. 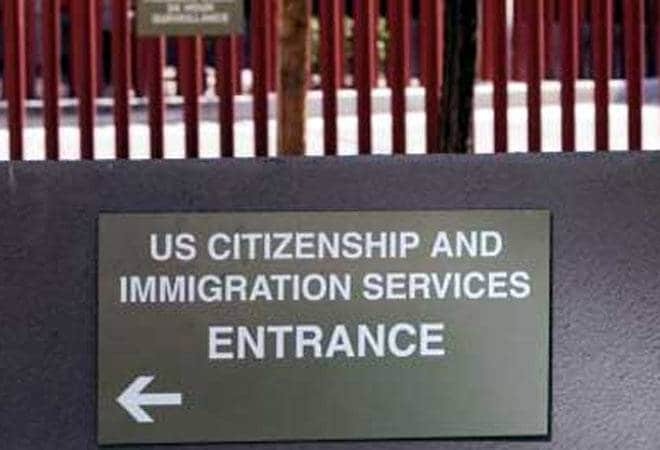 Amid reports of the United States planning to toughen up H-1B visa extension rules, the Trump administration - in a huge relief to over 7,50,000 Indians working in the US - has said it is not considering any proposal that would force H-1B visa holders to leave the country. The current announcement provides an extension beyond the stipulated period of six years to all foreign workers, most of them Indians in the IT sector, working in several US companies under the H-1B visa norm. Washington has clarified the allegations related to the US government taking strict measures to "deport" H1-B visa holder Indians - whose Green Card requests were pending - were false, and that there were provisions to retain employees even if the allegations were true. The US government has said that reports on the Trump administration reversing its decision under pressure were "absolutely false", and that the government had never considered such a policy change. The US Citizenship and Immigration Services (USCIS) in a statement said: "The USCIS is not considering a regulatory change that would force H-1B visa holders to leave the United States by changing interpretation of section certain language in Section 104 C of the American Competitiveness in the 21st Century Act (AC21) statute that states that USCIS may grant the extensions." "Even if it were, such a change would not likely result in these H-1B visa holders having to leave the United States because employers could request extensions in one-year increments under section 106(a)-(b) of AC21 instead," Jonathan Withington, Chief of Media Relations at the USCIS, said in a statement. "The agency is considering a number of policy and regulatory changes to carry out the US President's Buy American, Hire American Executive Order, including a thorough review of employment based visa programmes," Withington said. The H1-B visa issue caught fire after a US- based news agency, McClatchy DC Bureau, last week reported that the US was mulling new H-1B regulations to prevent the visa extension. The agency on Monday added the US government had taken the decision under "intense pressure" from the business and technology communities. Several Indians and industry leaders had also raised a strong objection to the proposal last week, saying the move could equally harm the US, which benefitted from the Indian workforce immensely. Many in India were also of the view that if it the US went ahead with the visa restriction, it would help boost India's economic growth at a time when it's racing against Asian superpowers like China and Japan. Reps. Kavin Yoder, a Kansas Republican, and Tulsi Gabbard, a Democrat from Huwaii, had also sent a letter to the US Present Donald Trump saying the move could prove to be harmful in terms of India's relation with the US and the Indian workers contribution to the overall US economy. In India, Nasscom had said the decision could also create a shortage of skilled workers in America in core fields like science and technology. "It is not only about the Indian IT industry but about all Indians who use H-1B visas... Given that there is a real problem of shortage of skilled professionals in the US, any disruptive move will be detrimental for both India and the US," Nasscom President R Chandrashekhar had said. Considering the US government's tough stance on foreign policy, many still believe the overall fear of losing their H-1B visa status in future could also lead to "self-deportation" of thousands of Indian workers. In the past two years, there has been a major shift in the foreign policies of most western powers, including the US, the UK, and other EU countries, which are putting up protectionist barriers to scale up domestic job opportunities and fulfill their political agenda. Compounding the troubles for the Indian tech sector is another US Bill -- Protect and Grow American Jobs (HR170) -- that proposes new restrictions to prevent misuse and abuse of H-1B visas. It tightens the definition of visa-dependent companies, and imposes fresh curbs in terms of minimum salary and movement of talent. Visa dependent companies will have to raise the minimum salary for H-1B visa holders from USD 60,000 to USD 90,000 under the proposed Bill. Also, it places the onus on clients to certify that the visa holder is not displacing an existing employee for a tenure of 5-6 years.